We are counted as consistent firm actively involved in developing modern day Herbal Steam Sterilizer. We are offering the strong and heavy duty sterilizers that are developed with the insulated chambers to minimize the heat loss. 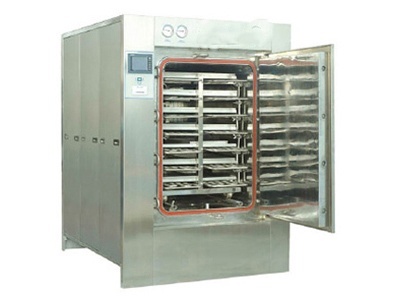 This offered steam sterilizers are assembled with the usage of optimum quality components and the latest machines under the stern supervision of our experienced professionals. Having the feature of radial locking system for seal proof condition the offered sterilizer uses innovative technology that includes preconditioning phase. Moreover, we are providing the Herbal Steam Sterilizer with touch screen control panel to make it operator friendly. The compact sterilizer is accessible in varied technical specifications at the most competitive price. Our system can be used to process chili powders, whole and ground pepper, paprika, garlic, cloves, and a variety of herbs, seeds, and other spices.